Option 1: Take a train or bus to Surat Thani Town and then take a bus or minivan from there to Khao Sok National Park. 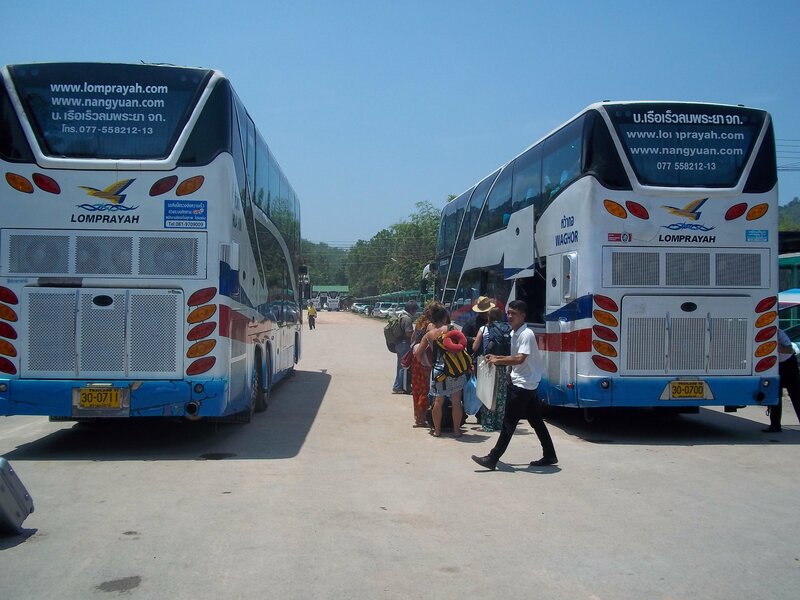 Option 2: Take a bus to Krabi and from there take the Phantip Travel bus service to Khao Sok National Park. Option 3: Take a minivan direct from Hat Yai to Khao Sok National Park. There is a single direct minivan service a day from Hat Yai to Khao Sok National Park which you can book online. 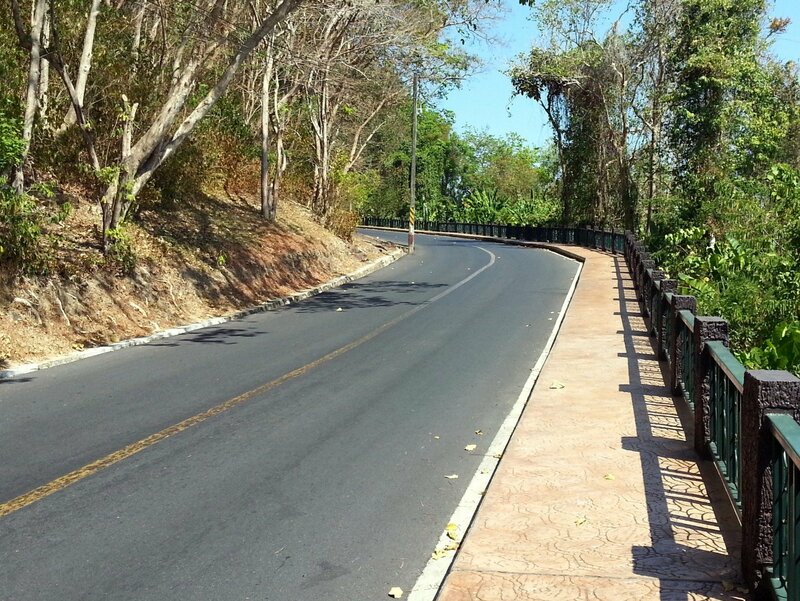 The journey by bus from Hat Yai to Khao Sok is scheduled to take between 9 hours 30 minutes. The journey takes a long time because the minivan travels via Krabi town where passengers are dropped off at various points in the town. Use the Search Box below to buy tickets from Hat Yai to Khao Sok National Park. Children under the age of 3 years can travel for free on a parent’s lap. 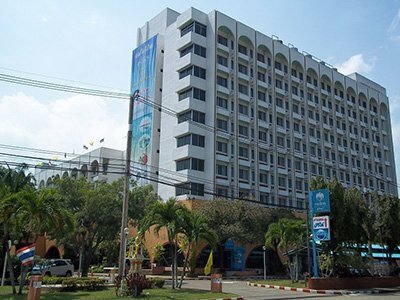 The My Son Krabi Tour service includes the cost of a taxi pick up from any point in Hat Yai City Centre to the place from which the minivan to Khao Sok departs. Minivan services from Hat Yai to Khao Sok National Park terminate at Khao Sok Van Station, which is 1.9 km from the entrance to Khao Sok National Park. There are two access points to Khao Sok National Park. The My Son Krabi Tour minivan drops passengers off at the western side of Khao Sok National Park near the visitors centre. This side of the park is best for trekking particularly to the waterfalls in the park. If you are planning to stay at this side of the park you have the option of staying inside the national park at the campsite near the Park Headquarters or the small number of bungalows runs by the park authorities. Most visitors to this side of the park, however, choose to stay at one of the hotels (Morning Mist Resort is very popular) on the approach road as they are cheaper and there are more restaurants and bars nearby to go to in the evening. To stay in a floating bungalow on Cheow Larn Lake you need to travel to the eastern access point to the Khao Sok National Park which is Ratchaprapha Pier near Ratchaprapha Dam. From the pier you need to hire a longtail boat or share a longtail boat with other visitors to access the lake and reach one of the floating bungalow operations. For a cheap floating bungalow try either the More Chiew Lan Lake rafthouses or Tone Tuey bungalows, both of which are run by the park authorities and cost under 600 THB a night. For a more luxurious option try the 500 Rai Bungalows which have air-conditioned rooms starting from 7,000 THB a night or the more affordable Smiley Bungalow Lake Houses which cost from 1,000 THB a night and are more comfortable than the bungalows run by the park authorities.